Investing may appear like a daunting endeavour for someone who has never tried it before, but the decision to get started is the first step. Online platforms have simplified a lot of aspects of investing such that you can do it without the help of a financial advisor. Undoubtedly, it will be confusing trying to decide what kind of investment suits your goals and which ones to stay away from. Also, you must decide how much time you can dedicate to your online investments. Even though the internet offers the convenience of trading from anywhere at any time, you still need to monitor your investments carefully. A few other tips will keep you on the right track. For any investment to work out, it must be guided by solid objectives. Don’t just start putting money in different assets, hoping that something will work out. For one, know your tolerance for risks before getting into online investing. How much are you willing to lose? Establishing goals gives you a blueprint for your other decisions. For example, you may be looking to get some extra cash for your child’s college fund. Or maybe you want to make the most of your retirement savings. With the knowledge of what your investments are supposed to achieve, it will be less challenging to pick the most suitable ones. When setting goals, be realistic and know where your limitations lie. The beauty of investing online is that there is so much education out there that you can capitalise on. Websites like Google, Yahoo and MSN, have comprehensive finance sections that will provide you with helpful information on just about everything. 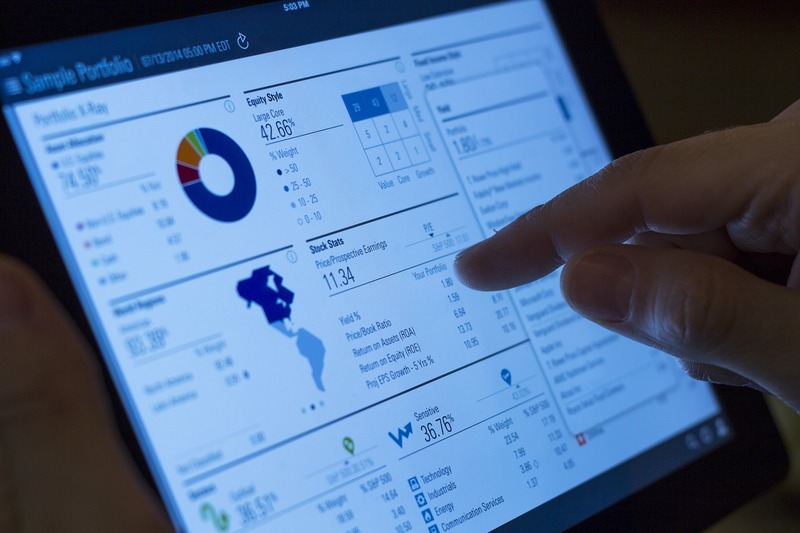 When you want to know how different markets are performing, you can find news articles online. Get an understanding of the basic concepts of trading online, so you know where to start. For example, learn about the different types of trades available from spread betting to stocks to CFDs. Some investments will require more effort than others, so be ready to put in some work. Investing online means working with a broker such as CMC Markets. However, before putting your money on any platform, be sure you are working with a legitimate business. Cases of fraudulent brokers have increased steadily with the use of online trading robots. To avoid falling into a scam, ensure that the online broker you pick has a license from an authoritative financial regulation body. For example, if you are using a broker based in Europe, check for FCA or CYSEC licensing. Research an online broker thoroughly and get unbiased opinions before you start using its services. Also, find out if there are complaints against the broker you intend to use. For a complete novice in investing, don’t begin using online platforms with real money. Be confident that you know how a particular tool operates first before using your hard earned money. You can find investment simulators online, which will help you practice a few strategies first. Some trading applications also have demo accounts, which are useful for training purposes. A dry run will help you gauge the functionality of a trading tool, its withdrawal and deposit methods, among other features. It’s a mistake to put all your money in one investment, especially if you are starting out. Even when an asset seems like a sure thing, you cannot be unequivocally certain there is no risk. With money in different instruments, you divide the risks such that when one fails, you still have another one. However, don’t have too many fingers in too many investment jars that it becomes impossible to keep up. For a beginner, two assets are a good place to start after which, you can expand your horizons with experience. One threat that comes with using online platforms is compromised security. Computer systems face several risks such as hacking, ransomware and malicious attacks. When investing, a lot of data is transacted, and that information can be damaging if stolen or lost. Before you start depositing money into a brokerage account, ensure that your system has all the necessary protections to keep all thOnline Investment for Beginnerse details safe. Invest in robust firewalls, antivirus and data redundancy measures. Check your computer regularly to guarantee that safety protocols are always activated and up to date.